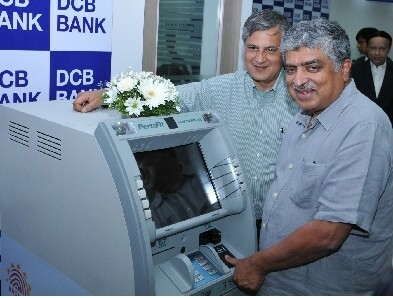 BANGALORE, INDIA: DCB Bank today launched, Bangalore has got its first “Cardless and PIN less” ATM that accepts Aadhaar number and the fingerprint (biometric) to dispense cash from the bank account. DCB Bank pilot launched Aadhaar based ATM in Mumbai, Odisha and Punjab before this. The Bank plans to upgrade all its 400+ ATMs to provide Aadhaar based functionality in the next six months or so. Currently, only DCB Bank customers will be able to use this facility.